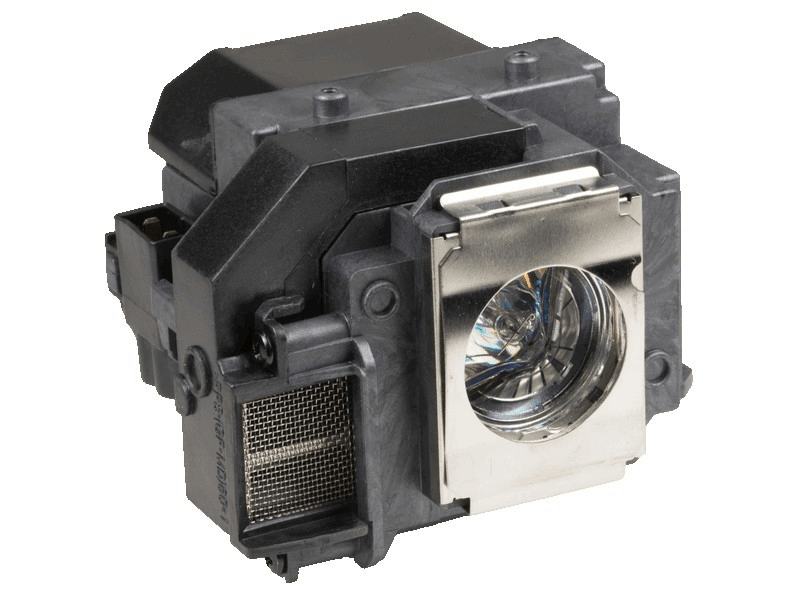 The EX5200 Epson projector lamp replacement comes with a genuine original 200 watt Osram brand bulb inside rated at 2,200 lumens (brightness equal to the original Epson lamp replacement). The EX5200 lamp has a rated life of 4,000 hours (5,000 hours in Eco mode). Our Epson projector lamps are made with high quality Osram bulbs with main components made in Germany. Beware of cheaper lamps made with generic bulbs with lower quality and lower light output. Purchase with confidence from Pureland Supply with free ground shipping and a 180 day warranty. EX5200 Epson Projector Lamp Replacement. Projector Lamp Assembly with High Quality Genuine Original Osram P-VIP Bulb inside. The replacement lamp arrived quickly and without damage due to carful packing. Installation took about 10 minutes and a screwdriver. The projector in now back in service and, so far, is working as before the bulb failed. PurelandSupply provide us with timely and courteous service. This minimized the downtime of the projector which was an important part of what we do to present God's Word. We are very pleased and, if necessary, will be a return customer. Product was shipped promptly, easy to install, and had excellent picture! Fast delivery, excellent lamp. Just like my factory original bulb. Your the best. I am so glad you folks was not another bad deal like I have received several times in the past. Your whom I will be buying all my projector bulbs from this day forward. Thank you so much Pureland Supply.